World Cup Series Enoshima, día 1. Flojo comienzo del equipo argentino. 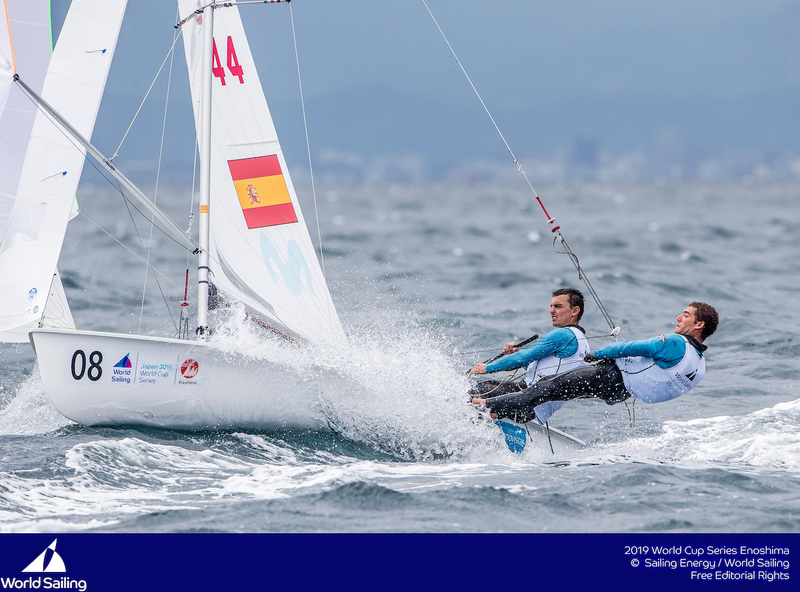 As the dust just about settles on the Hempel Sailing World Championships Aarhus 2018, many of the newly-crowned World Champions continue their form at the World Cup Series event in Enoshima, Japan. The 2018 World Cup Series Enoshima is the first to be held on the Tokyo 2020 Olympic Sailing Competition field of play, and competitors who have succeeded on Olympic waters ahead of the Games often achieve glory come showtime. 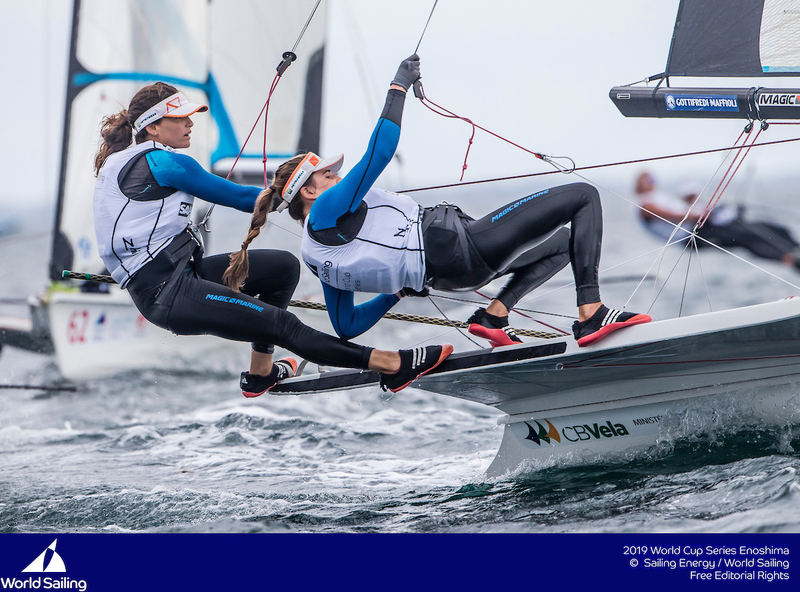 Out of the 466 sailors from 44 nations, the World Champions crowned in Aarhus have come to the forefront once again, suggesting that their talents and racing know-how can be seemingly transferred from one venue to the next. Kevin Peponnet and Jeremie Mion (FRA) clinched a dramatic gold in Aarhus, moving up from third to first during the medal race with a third-place finish, amidst some slip-ups from their rivals. It was the first World Championship title for the pair and their confidence was sky-high in Enoshima as they snapped up the first race win. The pair finished tenth in the second race and are third overall at the early stages of the competition. Although they admit another medal would be nice, they have a wider goal after an exhausting World Championship campaign. Winning a medal on Olympic waters in advance of an Olympic Games is a strong indicator of what’s to come, and the Men’s 470 fleet is full of world-class competitors aiming for the podium. Rio 2016 silver medallists Mat Belcher and Will Ryan (AUS) are down in eighth, with Greek bronze medallists Panagiotis Mantis and Pavlos Kagialis in fifth. Japan’s expertise in the 470 and knowledge of their home waters shone, with four teams in the top six after day one. Keiju Okada and Jumpei Hokazono (JPN) lead the way on seven points and are followed by Naoki Ichino and Takashi Hasegawa (JPN) and the French. Japan’s Ai Kondo Yoshida and Miho Yoshioka won gold in Aarhus but had a mixed day in the Women’s 470 fleet today, yet were still able to find some form. They opened with a 11th in race one before expertly overhauling Benedetta di Salle and Alessandra Dubbini (ITA) in the second race of the day to take the win. The Italians, along with Afrodite Zegers and Anneloes van Veen (NED), are locked on seven points after they both recorded a fifth and a second. Hannah Mills and Eilidh McIntyre (GBR), third at the 2018 World Championships, won the opening race of the week and are fourth overall. 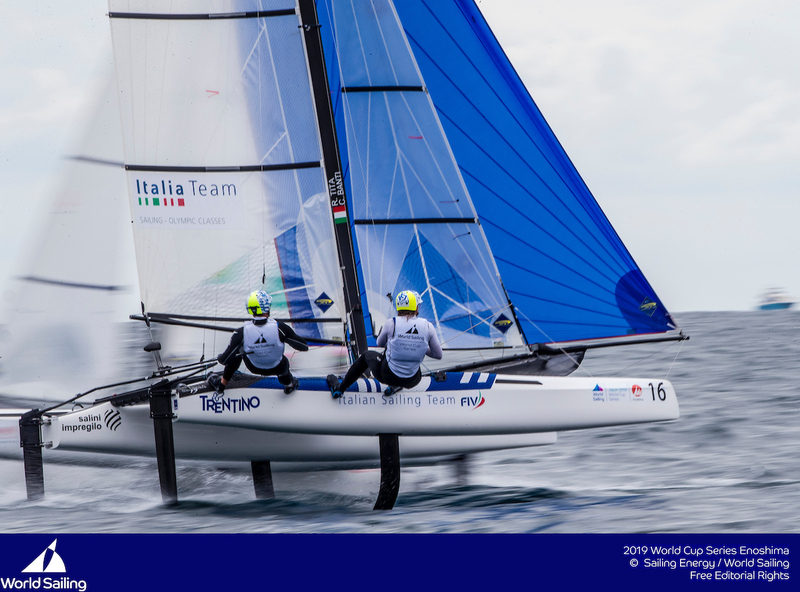 Ruggero Tita and Caterina Banti (ITA) have set the bar in the Nacra 17 since it became fully foiling. Undefeated in 2018 in the lead-up to Aarhus, they lived up to expectations as pre-regatta favourites to claim their first world title. The tag has been placed on them again in Enoshima and they delivered on day one, winning all three races. Their compatriots Vittorio Bissaro and Maelle Frascari are in second, with Gemma Jones and Jason Saunders (NZL) in third. Mattia Camboni (ITA) started his World Cup campaign with a pair of wins and a second in the Men’s RS:X. 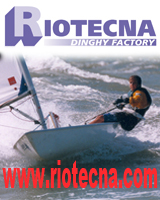 The fleet includes the likes of two-time Olympic gold medallist and 2018 World Champion Dorian van Rijsselberghe (NED), Olympic medallists Pierre Le Coq (FRA) and Shahar Zubari (ISR), as well as numerous World Cup medallists. The first World Cup Series event in Enoshima has been highly-anticipated, but the RS:X World Championship was held in the venue just under one year ago, so many of the fleet are well-accustomed to the conditions. Kiran Badloe (NED) won the day’s other race and is second overall, with Le Coq in third. The theme of dominating 2018 World Champions continued in the Women’s RS:X, as Lilian de Geus (NED) snapped up a pair of wins to lead the way in the 30-boat fleet. Martine Grael and Kahena Kunze (BRA) continued their comeback in the 49erFX, following Grael’s voyage around the world in the Volvo Ocean Race, by advancing to the top of the pack after three races. Grael and Kunze sailed consistently at the front of the fleet, taking a first, second and a fifth, which they discard. Just one point behind them sit two familiar foes – Alex Maloney and Molly Meech (NZL). The Brazilians and Kiwis were split by just two seconds in a winner-takes-all race at Rio 2016; and if day one of racing in Enoshima was anything to go by, the margins might be even closer come Tokyo 2020. Denmark’s Ida Marie Baad Nielsen and Marie Thusgaard Olsen are in third. After finishing sixth at their last two events, today 49er sailors Dylan Fletcher-Scott and Stu Bithell (GBR) found the kind of form which saw them finish on the podium at 12 of their previous events. A first, second and a fourth gives them the lead over Poland’s Lukasz Przybytek and Pawel Kolodzinski and their British rivals James Peters and Fynn Sterritt. After an absence of more than half a year from the Finn to concentrate on the British America’s Cup campaign, it was almost as if Giles Scott (GBR) had never been away as he sailed to the top of the fleet in Enoshima. A sixth and a race win gives him the lead after day one. Trailing him is Nicholas Heiner (NED) and Josh Junior (NZL). Having won World Championship gold in Aarhus, it was business as usual for Emma Plasschaert (BEL) who sailed consistently on the opening day in Enoshima, posting a third and fifth to grab the early initiative. Sarah Douglas, who finished sixth in Aarhus and qualified Canada for Tokyo 2020 as a result, is second overall, followed by Josefin Olsson. The day’s race wins went to Anne Marie-Rindom (DEN), who is 17th overall, and Olsson. There were some mixed scores in the Laser, as no sailor truly mastered the conditions. Michael Beckett’s (GBR) eighth and second hands him an early lead. Racing continues at 11:40 on Wednesday 12 September. saben que paso con santi que no corrio? 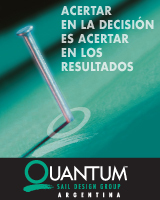 Algunos problemas de salud menores, pero que le impiden navegar. De todas maneras este campeonato habian programado participar sólo los dos primeros dias porque el flaco tiene el compromiso del TP52 Azzurra que se superpone.